How do you know what your customers needs are? 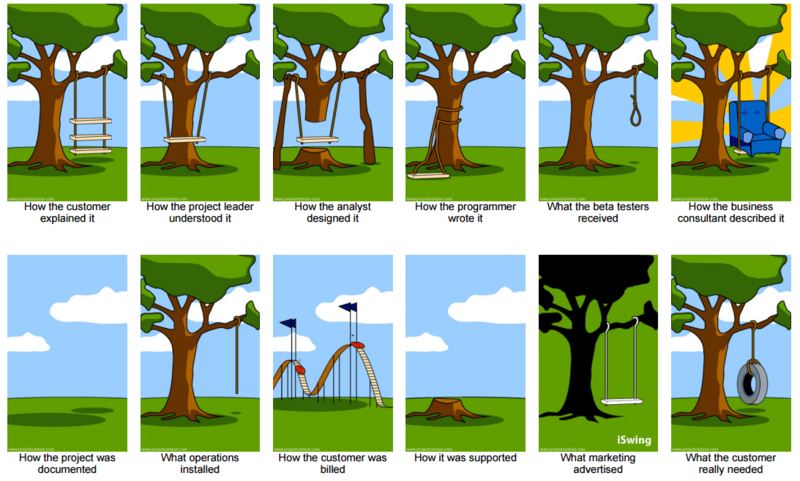 The famous cartoon entitled “Project Cartoon” captures the sad reality behind bad requirements gathering. Call TestPoint and discover how our combined consulting and proprietary Technology Platform Solution (Vansah ™) helps our clients to achieve their organisational targets.